I never intended to be a professional spoken word poet. It wasn’t a secret dream of mine or something my guidance counselor suggested I pursue. In fact, it sort of chose me. In my high school class of barely 60 students, I was known as “the artist.” I painted murals in the hallways; I attended visual art summer camp and excelled in all things creative. I even penned little poems in the margins of my notebooks but never felt like poetry was truly mine. It wasn’t until I attended an open mic on my college campus in 2005 that I first heard spoken word. As I sat in the dark of the coffee shop, listening to the poet tell her truth, I was absolutely incited. New doors in my creative mind were opening to whole rooms I had never explored. I was instantly captivated by the social and emotional power of performance poetry. It quickly became not only my passion but also the focus of my professional career. It teaches basic communication skills. I’m not sure what is being taught in Home Economics these day but I’d much rather learn to communicate my thoughts effectively and respectfully over sewing a potholder. Each draft is a new conversation, another opportunity to say your message again in the most concise and effective way. Every poem becomes a conversation between not only the poet and the audience but also the poet and themselves. It encourages introspection. 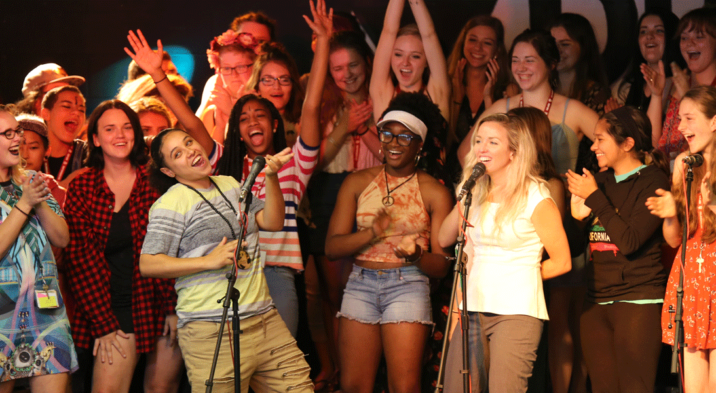 Utilizing poetry in the classroom urges students to look not to pop culture or their peers to build their identity but to their own experiences. Their confidence grows with their perspective. Allowing them to express themselves in an affirming space flips the traditional academic paradigm to one that makes the student the center of their educational experience. It is an act of reclamation. With a pen and paper, students are given the unique ability to actually make something tangible and positive from any life experience. To be able to articulate one’s story is a form of self-empowerment. To say: I was here. I felt this. I experienced this. I survived. 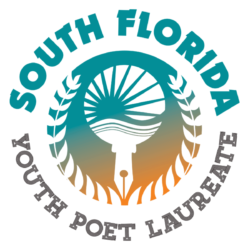 In this way, spoken word poetry empowers young people to become active agents in their own healing. It encourages cathartic expression and emotional processing that ultimately contributes to a more holistic pedagogical space. It fosters a culture of active listening. Just as important as the opportunity to speak, spoken word also provides young people a place to listen. This is especially important when considering possibly marginalized narratives or diverse student populations. Performance poetry allows not only the opportunity to articulate these experiences, but also provides space for others to hear and better understand them without disrespectfully demanding information. 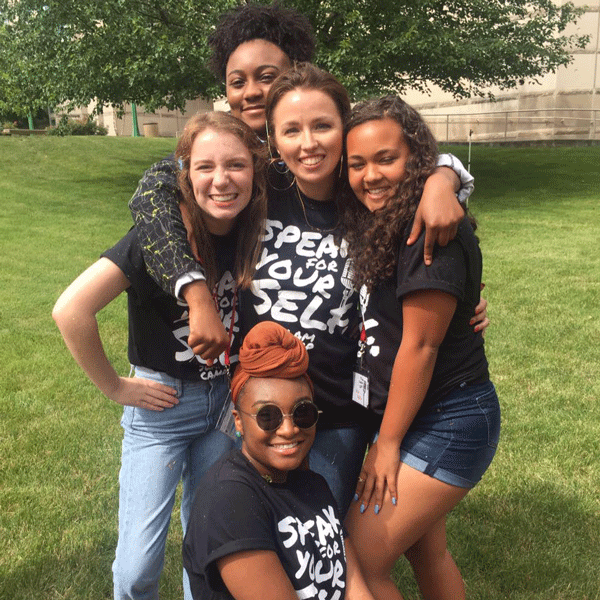 At its best, spoken word can assist in fostering a more compassionate classroom. It reminds us that no matter what we’re going through, we aren’t alone. Young people are too often taught to be ashamed of their supposed “flaws,” their differences, and their emotions. But poetry does the opposite—it is a mirror and megaphone. The act of collective sharing unifies the group while celebrating the individual. It validates the personal experience while connecting the poet to their Poetry says: You, your voice, your story is important. After being an independent poet touring the world the better part of a decade, I’ve decided it’s time to give back to this magical art form and the broader community that has carried me so far. It’s my turn to provide some of the life-changing opportunities that spoken word has gifted to me. With great pride and excitement, I’ve accepted the position of Director of the Omari Hardwick bluapple Poetry Network because I’ve seen the life-changing force that is spoken word invigorate a classroom. I’ve witnessed the minds and lives of young people being changed by the power of their own words. I’ve seen students literally walk differently after spitting their first piece—their backs straighter, their heads held high. It’s my honor to continue this program’s dedicated work by holistically serving and uplifting the young voices in my new community. 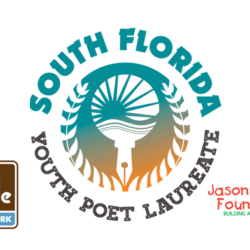 If you’re a poet or an educator who would like to start a poetry club on your campus, you can contact the Jason Taylor Foundation for access to the Omari Hardwick bluapple Poetry Network where a variety of programs and services are available, including a free poetry curriculum, professional development, teaching artist support, conferences, workshops and festivals, as well as the opportunity to connect with students and educators across South Florida who share your passion in this important and necessary art form. 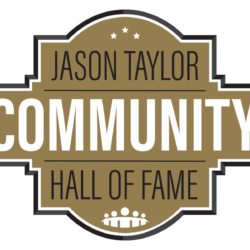 Please email us at info@jasontaylorfoundation.com, call us at 954.424.0799 or follow us @jtfoundation99 or @bluapplepoetry.